Pick up the Bull Mountain Trails map (red) printed by Milestone Press as your crucial navigational resource. Also, the National Geographic Trails Illustrated map #777 is awesome as well, and great for navigating all of the forest roads in the greater Blue Ridge WMA area. The route involves several turns, but on a map it is a pretty apparent loop. There are several different options to shorten it, if you so desire.. I seriously recommend picking up the little red map, and doing the longest loop (around the outside) and riding it counter-clockwise. Bull Mountain is one of the most popular rides in all of North Georgia, and it is easy to see why. This 11 mile loop holds some of the steepest and most sustained climbing you'll find in Georgia, and really anywhere. Climbing, however, is useless without a good drop back down the hill, and Bull Mountain has an awesome one! Some of the sections of downhill are wide-open cruisers. Others, are loose rock garden slides. Still others, a gnarly drop fest down a steep, washed out gully where you just need to abandon the breaks and ride the bull! One of the things that I could wish for on this loop would be a straight climb, and a straight descent. When descending down the back side of the loop, the trail drops for a ways, then climbs back up a little, then drops a whole bunch more, then a hike-a-bike climb looms at you... a nice, no peddles descent would be blissful. But as it is, the Bull Mountain gnar is some of the most enjoyable anywhere! The Bull Mountain ride really delivers the feel of remoteness. While many of the other trails in the area are constantly criss-crossing fireroads, Bull Mountain really makes you feel like you're further out there. With creek crossings a-plenty, hike-a-bike climbs, and gnarly descents... it is most assuredly an epic ride. The only real displeasure I derive from this loop is the lack of singletrack. While, sure, it does have a lot of singletrack, it also has a lot of fireroad climbing. What singletrack there is, maybe 60-70% of it is not true, narrow singletrack. The vast majority consists of old road grades that have degenerated into basically a singletrack line. While it makes for fast, ripping descents, it leaves much to be desired in epic-quality singletrack. The Bull Mountain Trail system is getting a face lift. 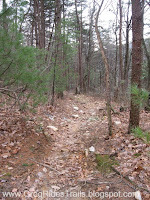 Changes include a major reroute of the main Bull Mountain trail. The descent is still very sweet, but gone is the gnarly washed out trench and in its place is a much more sustainable path of narrow singletrack. 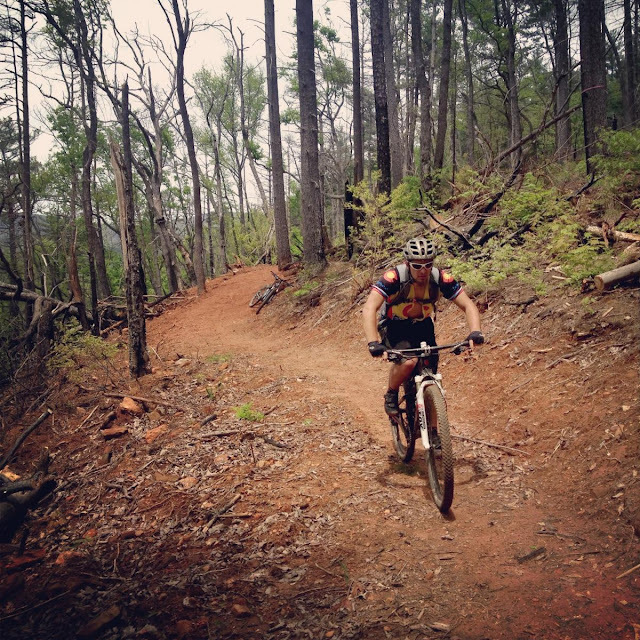 Near Dahlonega and looking for a ride that is "out there" with steep climbs and gnarly descents? Ride Bull Mountain. PS: "Bull Mountain" is the general name covering all of the mountain bike trails in Dahlonega, Georgia. Shredding Bull Mountain from Greg Heil on Vimeo. Originally published on GregRidesTrails.com in 2010.